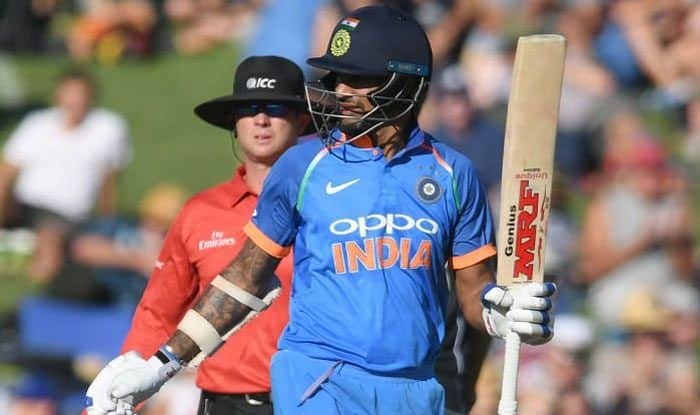 Dhawan said competition is high in the 15-member squad as Indian cricketers especially as 'youngsters' grow up fast and create a lot of competition in the team. “Once you get the experience, you take the things with ease and you know what to do and what not to do. I back my instinct and know my technique suits. It is a mental adjustment… once I am at the pitch I create a plan in that particular moment,” the 33-year-old said on Friday. The ongoing series will serve as a preparation for the upcoming ICC Men’s Cricket World Cup. Dhawan said competition is high in the 15-member squad as Indian cricketers especially as ‘youngsters’ grow up fast and create a lot of competition in the team. “Take the case of Prithvi Shaw, the way he came into the Test team and scored a century and then 70 runs. Everyone has to be on their toes. Our team has been performing very well. Our bench strength is also very strong,” Dhawan said. When asked, the opener said his partnership with Indian skipper Virat Kohli is quite a “normal thing” as they have been playing together for a long time. “We (Virat Kohli and I) rotate the strike very well, that is one thing that keeps the pressure off. If one hits the boundary, it boosts the other,” he said. “We always plan that our top order scores more and stays longer at the pitch. But it also depends on the target, match to match, score to score and a little bit on the mood. If the target is 300 or plus, we cannot play slow. In the first 10 overs as an opener we have to put up scores quickly and create momentum,” Dhawan said. India, with a 1-0 lead, will next meet New Zealand in the second ODI of the five-match series at Mount Maunganui on January 26.